When growing in autumn and winter seasons in greenhouses and indoor conditions the plants need additional lightning and least of all conventional light bulbs with tungsten filaments are suitable for this purpose. 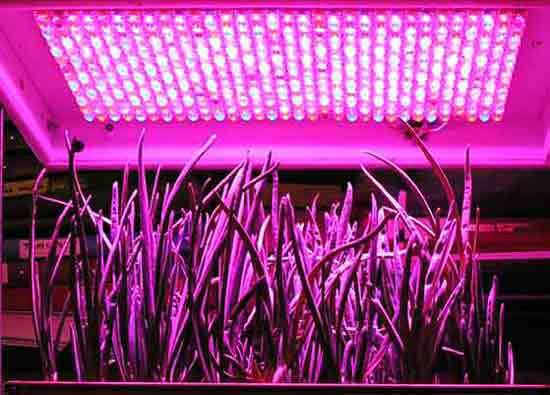 Visible light is a small part of their spectrum, and the rest is the thermal (infrared) radiation, which causes seedlings elongation. 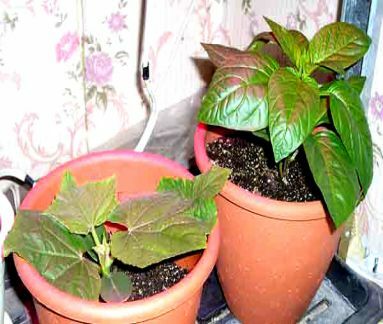 Most photobiological processes in plants proceed more intensely when irradiating by radiation in the blue-violet and orange-red spectrum. So that’s the reason white color fluorescent using is inefficient. Plant light reaction different from the human one. The light being in range from 400 to 700 nm. 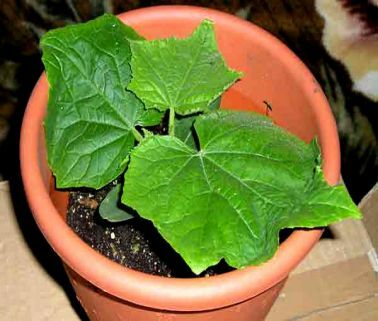 stimulates plant growing. It is about so called PAR-range (abbreviated from the Photosynthetic Active Radiation). At about 45% of solar radiation belonges to a PAR-range. 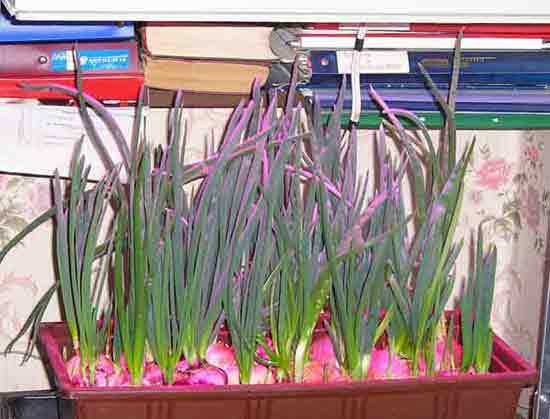 Therefore in case the lamp is designed for plant growth stimulating it’s spectrum needs to be in this range mostly. 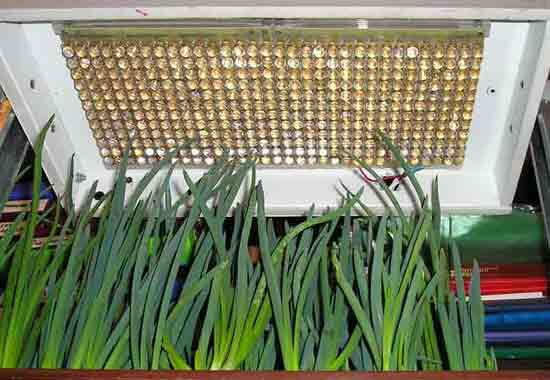 We have produced the irradiator with a matrix LEDs which perfectly suits for a crop production. It’s spectrum emission maximum lies in 470 and 660nm range. 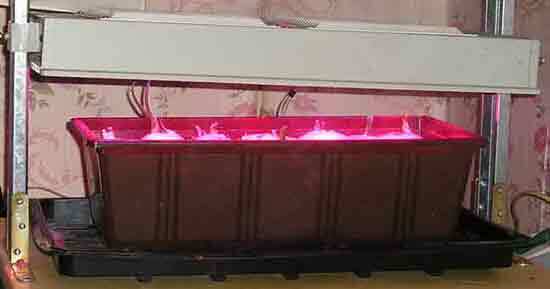 Also we carried out series of experiments on greens cultivation, grain germination and lettuce growing area. Photon flux density reached 300μмоl/м2сsec. Ratio of the intensities of emission bands in the blue and red spectral regions may be controlled. 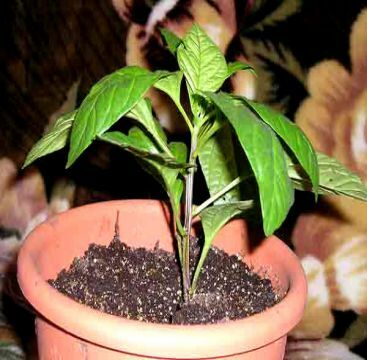 As ta result plants growth intensity were significantly increased. 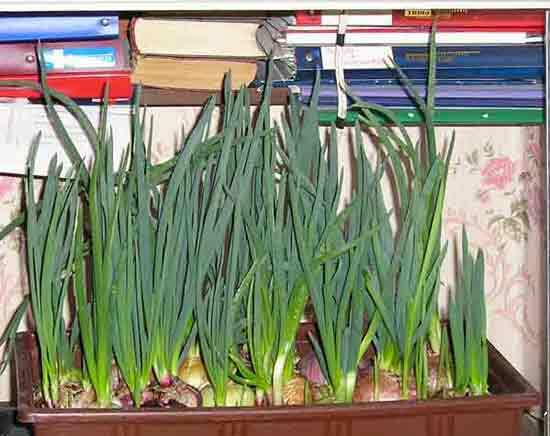 For example, the growth of onions feathers reached 5cm. per day! The advantage of LEDs radiation sources is the ability to optimize the radiation spectrum in 660 - 700nm and near infrared area. It’s barely possible with fluorescent lamps meaning their spectrum of radiation! Various particular irradiator variants advantages and disadvantages may be discussed for a long time making calculations, charts and graphs but all that is a theory only. As for us we did proved our products effectiveness in practice having growed flowers and various herbs with impressive results! 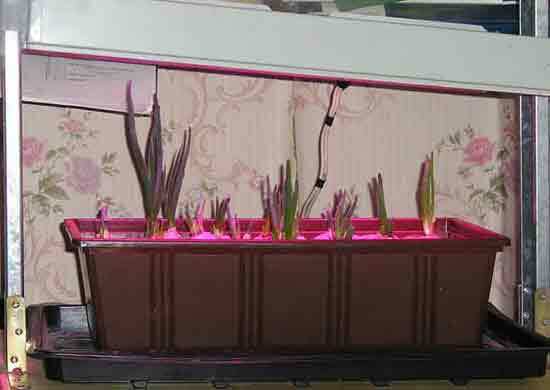 For the growth it was 27W electric power LED matrix used.